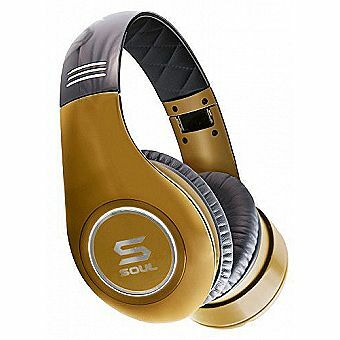 Oriented for music professionals, the SL300GGC headphones, from SOUL by Ludacris, pump out incredibly beautiful sound. These powered performance headphones are engineered to deliver such a high quality of pristine, balanced sound that they are suited for producers, DJs and music aficionados alike. Advanced active noise cancelling technology kills ambient noise for pure, immersive listening. With a soft headband and heavily cushioned ear pad, you'll enjoy comfortable listening with less strain and constriction. A full complement of accessories is included for ease of use.